Big Brother watches everyone virtually everywhere. Americans are more spied on than ever before in US history. Obama’s so-called new privacy guidelines, designed to limit the CIA’s use of information on Americans, changed nothing. Dirty business as usual continues. Reporting to the Director of National Intelligence, the agency has multiple missions, including collecting, coordinating, analyzing and disseminating information related to national security, along with conducting other operations as directed by the National Security Council. They include overthrowing democratically elected governments, assassinating heads of state and key officials, propping up friendly despots, snatching individuals for extraordinary rendition, treating them harshly in torture prisons, using drones as instruments of state terror, along with aiding and directing ISIS and other terrorist groups, used as imperial foot soldiers in Syria, Iraq, Libya and other US war theaters. The CIA operates as a global hit squad. Aside from legitimate intelligence gathering, its operations are incompatible with democracy. It’s unchecked power threatens freedom and world peace. As long as it exists, no one is safe anywhere – not heads of state at home or abroad or anyone else. Operating mainly overseas, the agency increasingly is involved domestically, traditionally the FBI’s area of responsibility under the Justice Department’s jurisdiction. 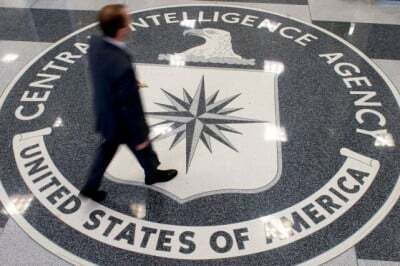 New guidelines require the CIA to purge certain types of information collected abroad within five years. Who’ll check to assure compliance? Who’ll curb practices of a rogue agency operating ad libitum, doing whatever it pleases, anywhere in the world extrajudicially? Updated guidelines were crafted without public input, especially from civil liberties groups concerned about privacy protections. Why were they announced two days ahead of Trump’s inauguration? His new CIA director Mike Pompeo can rescind them, establishing the new administration’s own rules and standards. Trump and his national security team said they favor expanded US intelligence operations. Obama’s new guidelines spell out how the agency interprets spying, dating from the Reagan administration. New guidelines exclude various CIA rogue operations, especially in US war theaters. How Trump intends handling the agency going all out to delegitimize him remains to be seen. It he tries restructuring and curbing its power, he could end up one of its victims.